I would just like to say thank you to everyone who has taken time to read my posts and comment, i love to see what you all think and i really appreciate you taking the time. 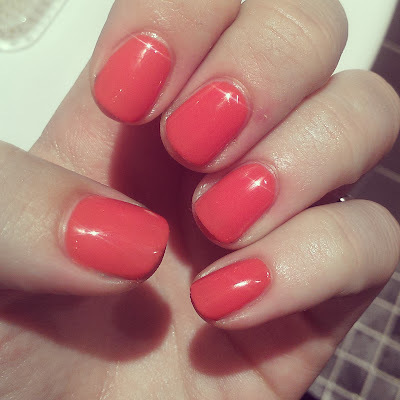 Gel nails was always a thing i was curious about but it was something i never felt like doing, purely because i don't think i could have the same polish on my nails for over 2 weeks without getting bored of it..seen as i usually paint my nails every 2-3 days! but i did like the idea of having shiny, chip resistant and stronger nails. 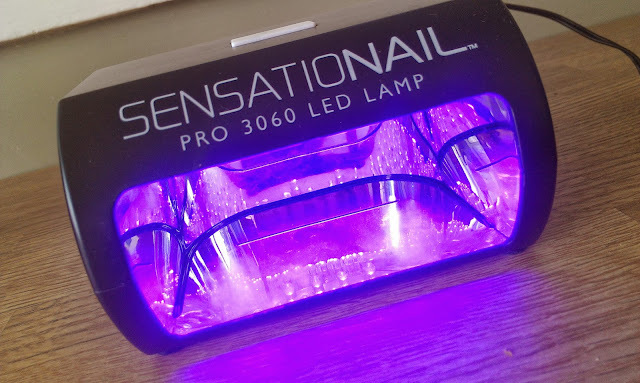 So when all my nails decided to play up and break on me, i thought now was probably a good time to try gel nails, i did some research online and spotted that you can get D.I.Y gel nail kits, there are a few on the market but i chose Sensationail. I was hoping that this would make my nails stronger and i could grow them back again while keeping my nails looking pretty. 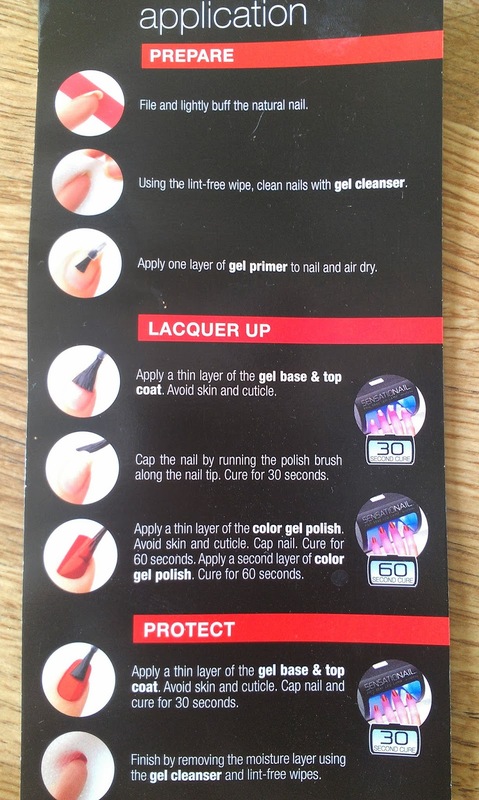 In this set you get everything you need to start your at home gel nails..
Its really simple and easy to use, it comes with a step by step guide which is so easy to follow, it just takes quite a bit of time because you have to.. 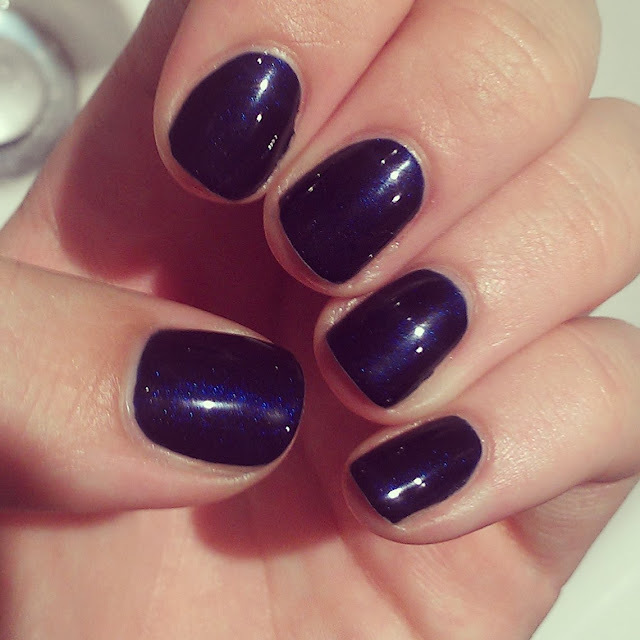 The finished result looks amazing actually and my nails felt so hard like nothing could break them, they where so shiny and smooth, the fist time i used this kit i used a different colour i bought separately called Blue Yonder, its a stunning slightly shimmery navy blue. 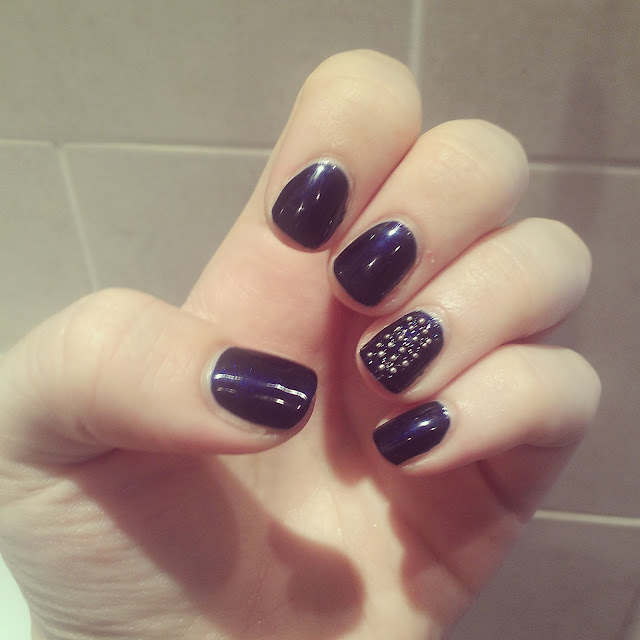 Started to get bored with it haha ..so jazzed it up with nail studs, This was after 5 days of wear. The only down side to this kit for me is the removal process (which i guess is bound to be a pain) lets just say it took a lot of time, effort, tinfoil, acetone and scraping ..my poor poor nails! 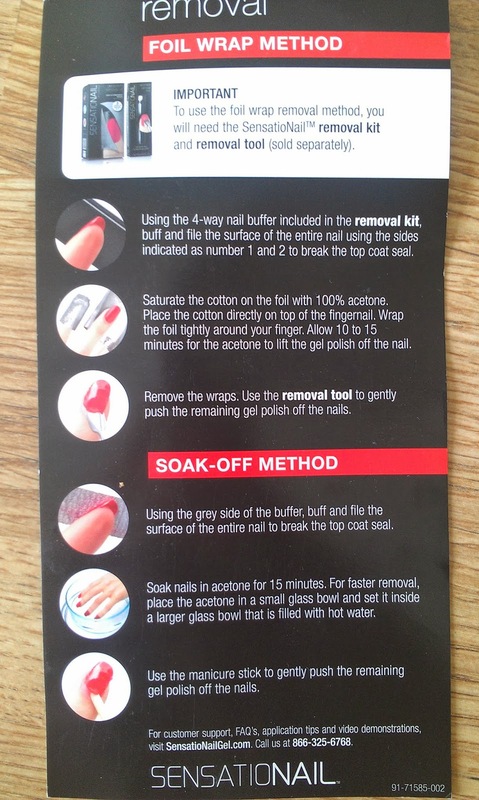 I have to say i didn't use their branded products to remove the polish such as their removing solution and scraper i just did my own thing using a boots acetone solution soaked in cotton wool popped over my nails with foil, i thought it was probably as good as? Because of this i only do my gel nails every few weeks to give them a little break otherwise they would probably be as thin as paper. 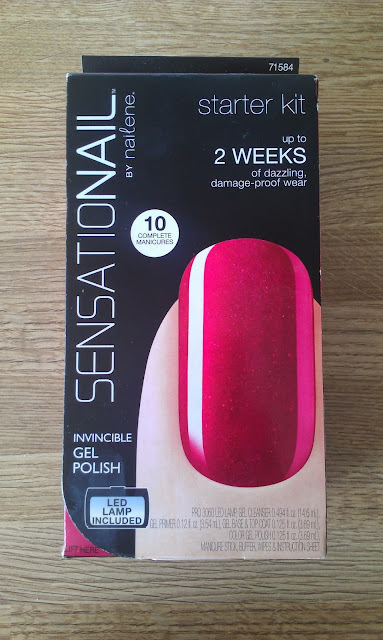 I would also say that sensationail say they last up to 2 weeks on your nails but i have yet to witness that as mine have lasted just over a week max with quite a bit of chippage going on, but that's ok with me as i couldn't cope with 2 weeks i get bored too easy with the same colour. 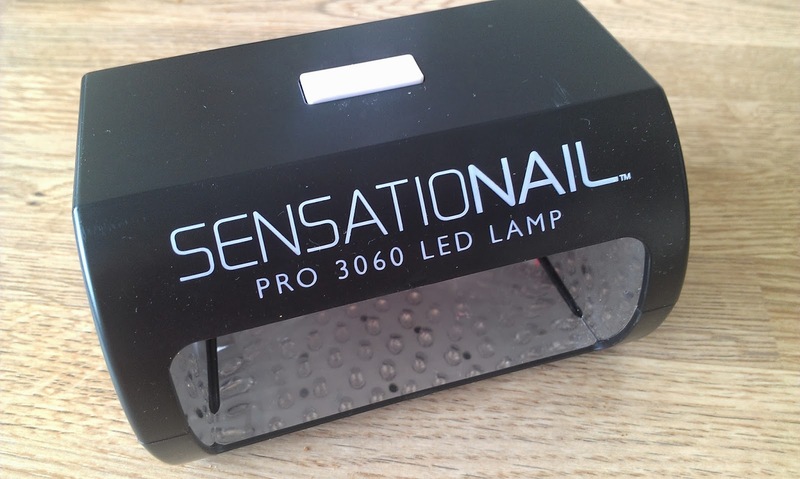 But other than that i really like this kit, as do my mum and sister for the fact they get professional looking gel nails for free. The kit seems expensive but in the grand scheme of things it works out brilliant as its so much more in salons. omg i saw this and was soo tempted by it looks great! This looks like a cool product, I think I would probably use it if I was going away on holidays for a while and didn't have time to do my nails.. Otherwise I do like to switch colours every time I paint my nails!